Synopsis: An account of the life and journey of South Africa’s first ever black President. From his early years as a lawyer to his rise to political prominence, to his time spent in prison and finally his accession to Presidency of South Africa and bringing the end of apartheid. Review: As the great man once said “No one is born hating another person because of the colour of his skin, or his background, or his religion. People must learn to hate, and if they can learn to hate, they can be taught to love.” One of the many powerful quotes of the legend that is Nelson Mandela. The life and legacy of the man and the legend is brought to the big screen in a powerful and emotive way. The timing of the release of this film could not have been more poignant as Mandela sadly passed away in December 2013. Thankfully Mandela saw the film before he passed away. In its 2 hour and 20 minute run time, the film captures Mandela’s entire life. From his early beginnings as a young boy to his rise to prominence, his time spent in jail and last but not least the making of history by becoming the first black President of South Africa and bringing about the end of apartheid. The scenes in his early years are among the most powerful as it is shown how he went from a lawyer to a strong political activist. He was a man with a voice and people stopped and listened to what he had to say. Whatever he said, he said it well and people listened to what he had to say. As the film captures Mandela’s life in its entirety, there are some events that are breezed over rather quickly. His early life as a lawyer is not explored in great depth and did feel a bit rushed. In spite of this, it would be a hard ask to cover every event of the man’s life in great detail and achieve that running time. However, the film definitely captures the key moments that made Mandela one of the greatest people of the 20th century. The moment where he has been sentenced to jail and leaves his wife Winnie behind are heart breaking to watch. The fleeting visits that Winnie makes are also tough to watch as you feel your heart break for the both of them. The role of Mandela needed an actor to represent the charismatic individual that he was, and in this respect Idris Elba was perfect in the lead role. He captured Mandela perfectly and had the compelling presence and influence that Mandela had in his early years. His voice and accent were also on the money. Elba’s performance was so convincing that Mandela believed he had actually made an appearance in the film. As his time in jail goes on, while his charisma never diminishes, he becomes a patient and peaceful individual as his campaign to bring the end of apartheid goes to even while he spends the best part of thirty years in captivity. Alongside Elba in the leading role, Naomi Harris also gives a strong performance as Winnie Mandela. The chemistry between her and Elba was strong. Harris also goes on a transformation from a loving wife to a political figure of rebellion. The film does its best to capture the man and the legend. While some aspects are slightly touched upon, the film touches on the important events well and in this respect it hits all the right notes. 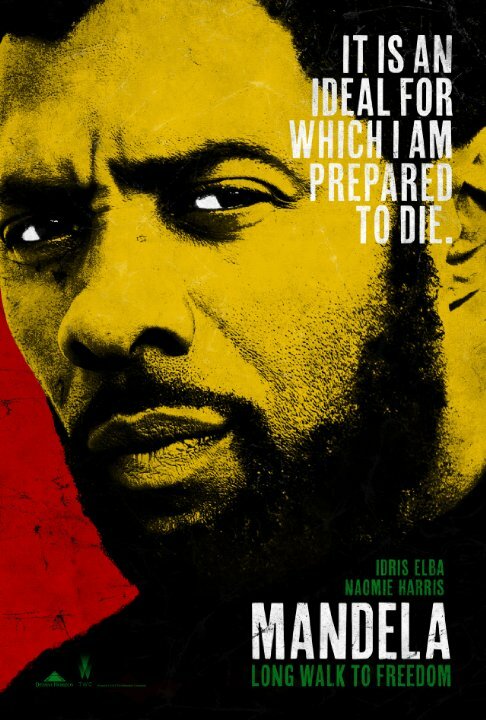 A solid portrayal of Mandela is provided by Idris Elba in what is arguably the best performance of his career to date. With an equally strong performance by Harris, the end product is a fitting tribute to the man who made a substantial mark on the world and who will be remembered for decades to come. Anchored by two excellent lead performances ensures that this biopic of one of modern history’s most influential leaders is a story worth telling.